It’s all in the Data – Who is watching the watchers? Bob Seiner is an internationally recognized consultant / educator in the field of data governance. Bob is also the publisher of The Data Administration Newsletter (TDAN.com), an award winning electronic publication since 1997, focused on sharing data management best practices. Ashley M. Wilson, JD, is an Attorney at Law practicing in Illinois and Wisconsin. Catherine Nolan has an MBA in Business Administration and 25 years’ experience as an Information Analyst. Arkady Maydanchik is a recognized practitioner, author, and educator in the field of data quality and information integration. 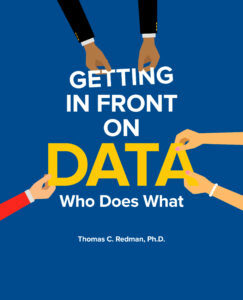 He is a frequent speaker at conferences and seminars, and teaches data quality courses through the Data Warehousing Institute and through his company, Data Quality Group LLC. David Schlesinger has 25 years of experience in information technology and data security management. He is CISSP certified in cybersecurity and is on the Board of Directors of the Phoenix ISSA, a security professional association. David has authored two US Patents for data governance methods that use Metadata classifications to audit and automate user rights and regulatory compliance, and speaks widely at data management and security conferences.